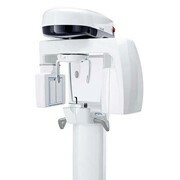 The NewTom Giano represents the latest technology in ‘3-in-1’ maxillofacial imaging from the company that invented cone beam, QR Systems. 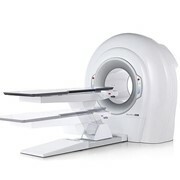 Using dedicated high resolution 2D sensors, the Giano produces exceptional quality OPG’s and Cephalometric images and is designed as a true workhorse for busy radiology practices. Full PACS compatibility means that the system will integrate seamlessly with your existing workflow. In 3D mode, the revolutionary flat panel detector, coupled with a very small focal spot, produces the clearest and sharpest volumetric images possible. HIGH QUALITY: The Giano takes a low dose pulsed image every degree of rotation (360 images) and produces super high resolution 3D volumes at 0.075mm/voxel with less than 1 minute of reconstruction time. 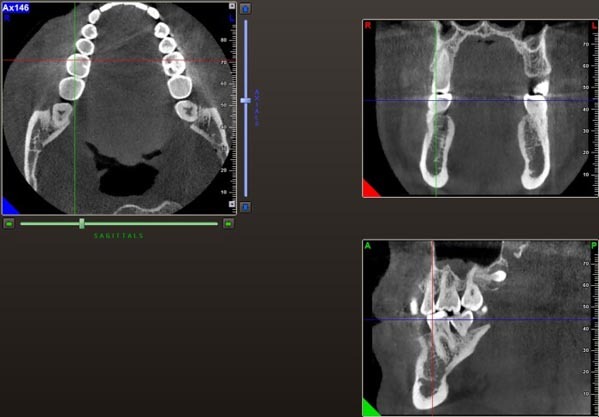 The 3D volumes produced by the Giano are the highest quality of any CBCT system on the market and compliment the image quality produced by the other CBCT systems in the NewTom family. SMALL FOOTPRINT & FLEXIBLE POSITIONING: The small footprint and flexible patient positioning of the Giano make the unit the practical choice for practices where space is at a premium. The Cephalometric arm can also be mounted on the left or right side of the unit, thereby increasing the flexibility of the system even further. 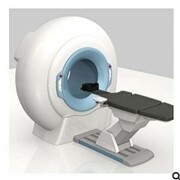 The Giano is also perfect for Wheelchair patients with easy access for the patient and operator. INTERCHANGEABLE SENSORS: NewTom increase the value of the Giano system by adding removable sensor technology. This allows the operator to safely detach the 2D sensor from the main structure and use it on the Ceph arm. A detachable 2D sensor is the perfect solution for those practices which require a high quality device at a competitive price. 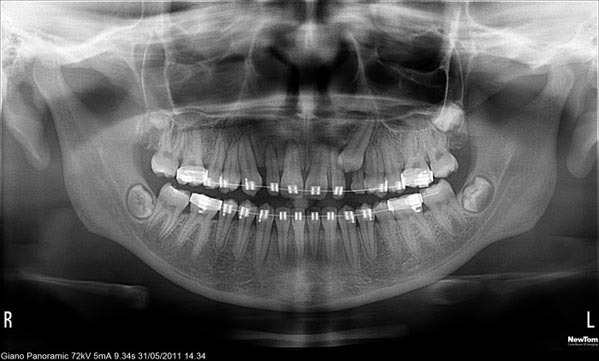 Through the development of a truly modular system, the Newtom Giano can be upgraded to CBCT or Pano with Ceph with minimal effort. It is possible to upgrade NewTom Giano's features by adding Ceph and CB3D at any time. 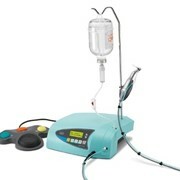 NETWORK READY WITH TOUCH SCREEN: Being ‘network ready’, the Giano can be connected directly to your practice network and PACS through a simple ethernet cable. No dedicated workstation is required, making the installation and operation of the system even easier. Featuring an embedded touchscreen control panel, the Giano is a pleasure to use and allows the operator to select the diagnostic program, level of collimation and select the patient position, before you start the scan. 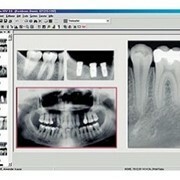 Scanned images & volumes can be viewed across the network or saved onto a USB stick for easy sharing between practices. Images from the Giano can also be displayed on an iPad, allowing you to view your images in high resolution while on the move or in situations where a workstation may not be available. 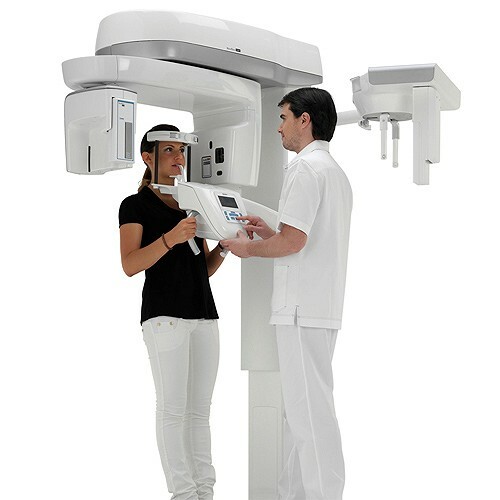 NEWTOM SMART FOV: The NewTom Giano features an 11cm diameter FOV, taking true images of the whole mandibular arch while providing a safety margin for ease of positioning and room for radiological guides. The NewTom Giano also boasts a revolutionary headrest design featuring 5 rigid support points, with independent right/left movements to balance out cranial asymmetries, adjustable forehead & chin rest, a fixed bite block and independent temple supports. 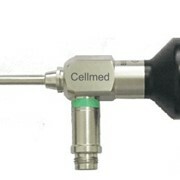 Laser guides ensure that the patient is in the perfect position before each scan.